Maldives - surrounded by warm tropical waters - is a paradise for water sports lovers. The area is well known to scuba enthusiasts but lesser-recognised water activities such a sea kayaking and kite surfing are growing in popularity. 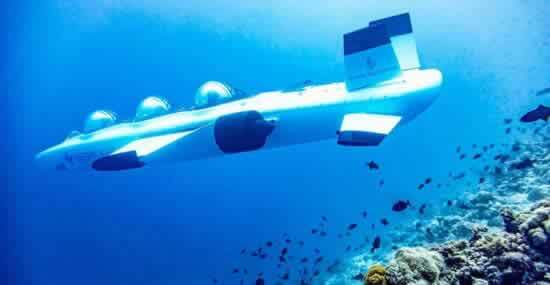 Every hotel in the Maldives has a diving school and a water sports center. Diving, snorkeling and surfing are described in detail elsewhere. Of course, the gentle tides and calm waters from Dcember to April are perfect for house reef snorkeling while the wild and rough waves from May to October are great for surfers. It's your call: either gently ride the waves on a cruise or get to your destination ultra quick on a speedboat. Almost all Maldivian resorts provide water sports facilities, though it is worth checking ahead if you are devoted to something in particular. Kayaks, dinghies and windsurfers are pretty much a given; water skiing, kite boarding and banana boats are catching on fast; and the more exotic (if less eco-friendly) aquatic pastimes such as jet skis lurk at more up-market places. The non-motorized sports are usually free of hire charges - but expect to pay handsomely for anything that consumes fuel. Enjoy watersports and activities around Maldives. 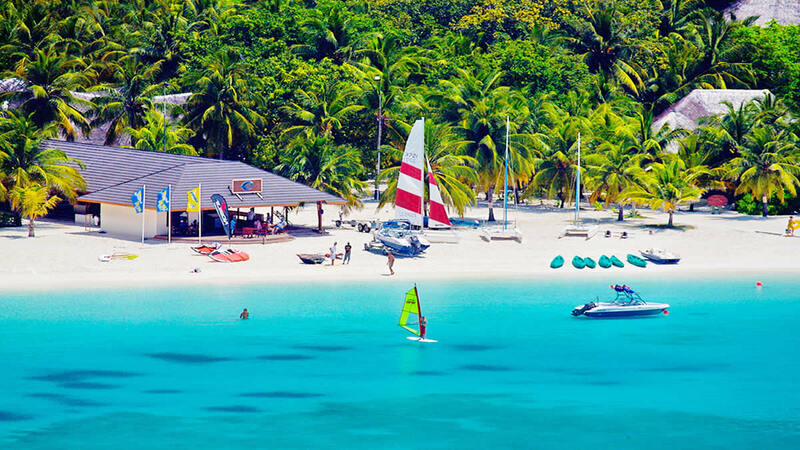 The Water Sport Center will offer you at least sailing, windsurfing and catamaran. Kiteboarding is another exciting sport that really fascinates. However, all this is not often used, at least in part because it is calm during high season. For an experienced windsurfer or sailor, the southwest monsoon (from May to November) provides more windy months. Resorts with large lagoons are best for water sports, because even if the sea is changing, the water surface will be much calmer inside. And while an experienced person can sometimes go for miles to the ocean, in the same lagoon, a beginner can safely ride the shallows and fall to a depth only to the waist. A new and exciting activity has arrived to the Maldives: Stand Up Paddle (SUP) Boards. If you want something with a motor, choose carefully, as most hotels do not offer motorized sports (see our list of Top 10 Sport Hotels). On the other hand, those who do it can offer anything from simple fun of riding banana and tubing to the thrill of wakeboarding, paragliding and jet skis. Based on the water theme, some resorts have daily aqua aerobics or water polo in the pool in their list of activities. These are mainly Italian resorts and larger, more family-oriented resorts that put more effort into these activities. Surfing is growing as part of the Maldives experience, as dedicated and experienced surfers begin to mark the best surfing spots on the Maldives map. Surf safaris are growing in popularity from year to year to satisfy all appetites, although several resorts - those who can boast a big wave on their own reef or proximity to the best spots - try to make surfers their regular guests.